In the universe of Priests there is no place for short ways and small comforts. 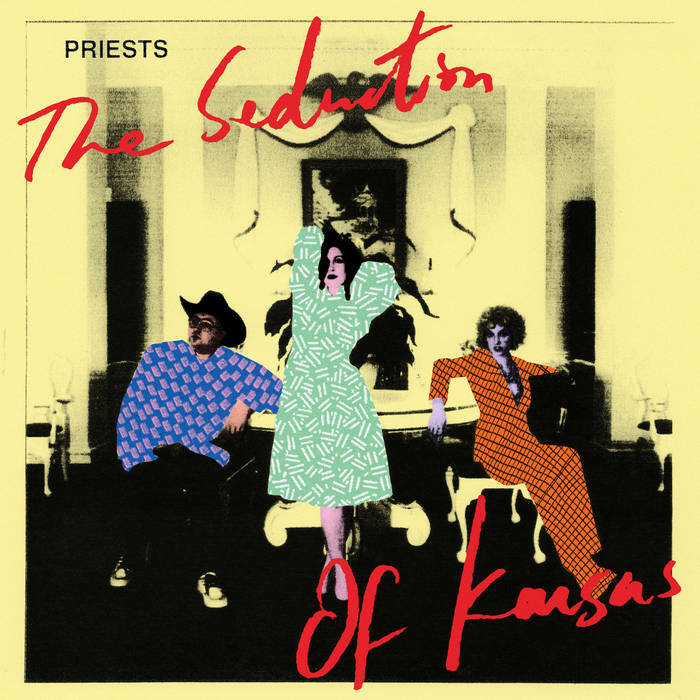 The Seduction of Kansas is the band's second album, released on their own label, but the complexity and the demand for attention, on our part, goes even beyond. A new goal, in short, for those who have produced and those who listen as well. Rock reduced to preconception is not in the idea of Priests that, after a record, are still changing their way of telling themselves. There's less explosiveness but certainly more reflectivity, which often turns into classy peaks like "Jesus Son," where the bass lines slam with the splendid voice of Katie Alice Greer. Priests are a compact and atypically splendid phenomenon, they collect in their pieces an absolutely personal ethic, which this year has seen them also open, in a small part, the record to a collaborative production. The title is due to a historical antecedent, or rather "essayistic," because it tells of a sociological and political study done on Kansas. In particular, based on What's The Matter With Kansas?, a book written by Thomas Frank. Priests, like the first poets of ancient Greece after the hegemony of the epic, reinvent an aesthetic and put back at the center a strong wealth of ideas, stories, contexts, and punk. The production, left for the first time to an external engineer (John Congleton) is perfectly focused, their strong intentions are never watered down or diluted. There is no patina that separates the DIY from Priests, everything remains perfectly set, even if now there is a frame even more centered on their intentions. The messages launched are not only single instincts full of anger, but the discourse in the record flows deep and articulate. The album is in full swing a non-fiction essay kissed by the sacred fire of punk. The melodic lines of the songs are interrupted, even in beautiful and significant speeches, as in the case of "Interlude." In general the album has solid roots immersed in post-punk but does not disdain to embrace more folk themes (in the broadest sense of the term). There's also room for more melodic breaths like on "Carol" but the absolute certainty of the band remains Katie Alice Greer, who brings a wonderful solidity to the melodies, the musicality and the ability to be abrasive for Priests. Greer's voice has a complex chromaticity that takes shape in an exceptional way in a piece like "Not Perceived” and communicates exactly the sense of uneasiness and political and social instability at the heart of the title of the work. Priests is the missing and "screaming" link in a scene that also needs showy and strong bands, at least in their choices, to assert themselves.